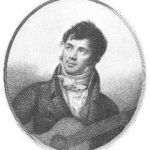 Fernando Sor (1778–1839) wrote many studies (etudes) for classical guitar and below are a selection of sheet music editions but mostly free public domain PDFs. These are facsimiles that is, period editions and out of dates editions too. I’ve tried to choose only the best ones. A virtuoso performer and composer, Fernando Sor was famed in his day and well remembered today. Sor studies vary greatly in their pedegogical use, some are exercises while others shy away from the etude aspect and are simply nice compositions. Sor studies may not be remembered for their compositional genius but they do require a special classical touch to bring out the musicality of the studies. I think that is the main reason they are heavily used in guitar pedagogy If the student does not play them musically then they are too light compositionally. On the flip side, some of them are in fact excellent pedagogical exercises with very specific technical aims. Help support the site & free music by supporting the site. 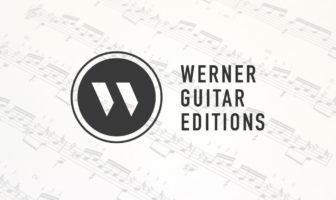 Looking for Fernando Sor pieces in TAB with Video Lessons?